Designed to produce a responsive bass tone thats both tight and warm, the KB15 provides users with comprehensive tone control. Quickly dial in tone adjustments with the Shape knob and full 3-band EQ. When activated, the Shape knob selects the frequency range of a unique, fixed EQ curve, resulting in a greater variety of color and harmonics. Beyond sitting upright, the KB15 can be placed in kickback position for superior directionality and increased high-end clarity on stage. 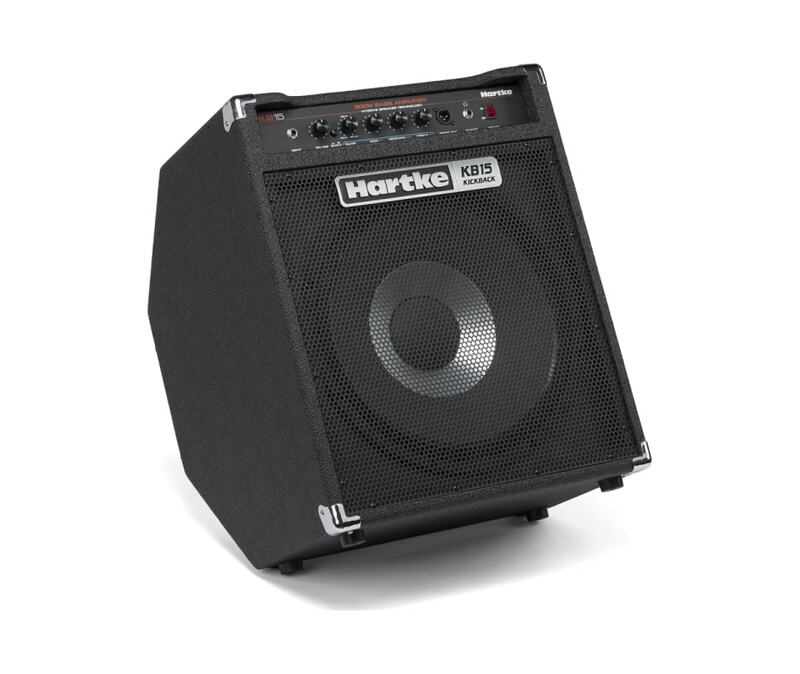 With a headphone output for home practice, an XLR direct output for live performance and a lightweight Class D amplifier, the KB15 is the answer for all bassists.